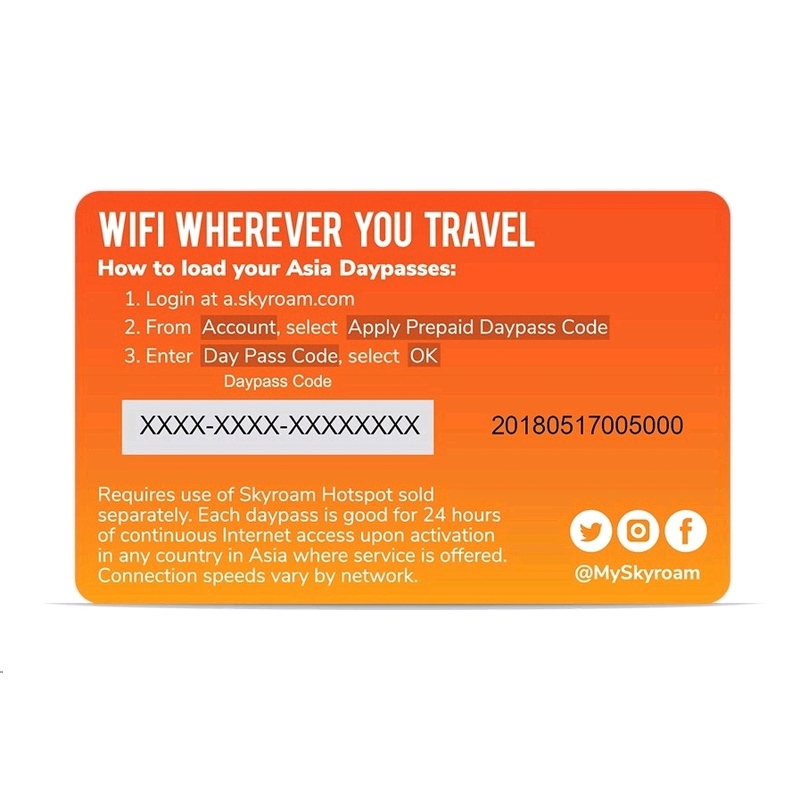 Use this pre-paid daypass card to load 5 WiFi service days to any Skyroam account. 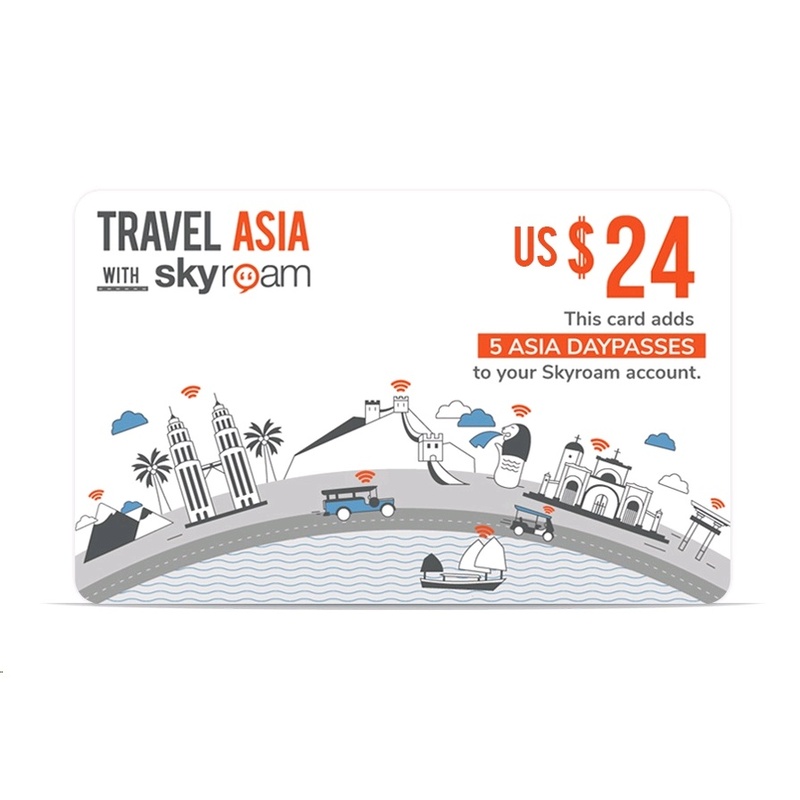 Each WiFi daypass provides 24-hours of unlimited internet access in all Asian countries where Skyroam offers coverage. Use each daypass one at a time, as needed. 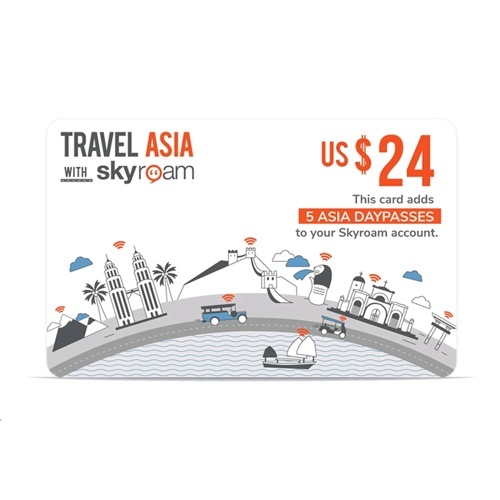 * Requires Skyroam global WiFi hotspot sold separately.